I am finally enough recovered from roiling bloat to write about the hamburger I consumed the other night. DB Bistro Moderne stands on 44th Street in Times Square, on a block that is distinguished by the Harvard Club, the New York Yacht Club and the swanky hostelry attached to the restaurant called the City Club Hotel. 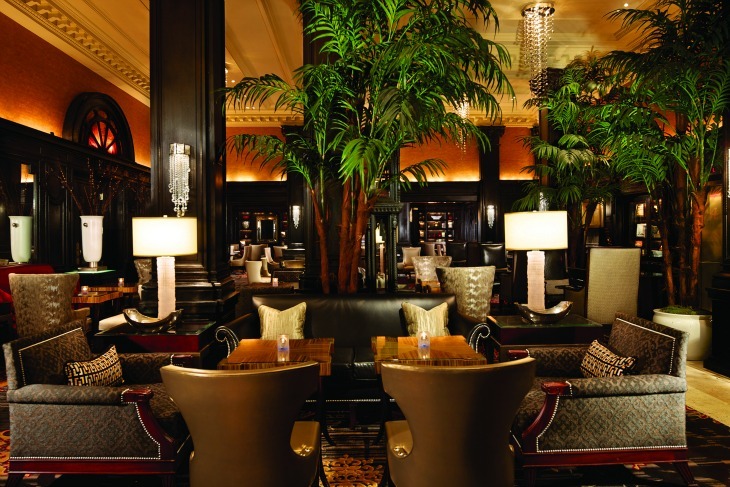 The Algonquin, with its always-crowded, ever-literary lobby and comfy cocktail chairs, one of my very favorite places in New York, is right next door. We were celebrating Valentine’s Day early, knowing we were up for a snow pounding that might keep us in the day itself. For years, we’d heard about a burger. A mythic burger, a burger for those of hearty appetites and gourmet tastebuds. 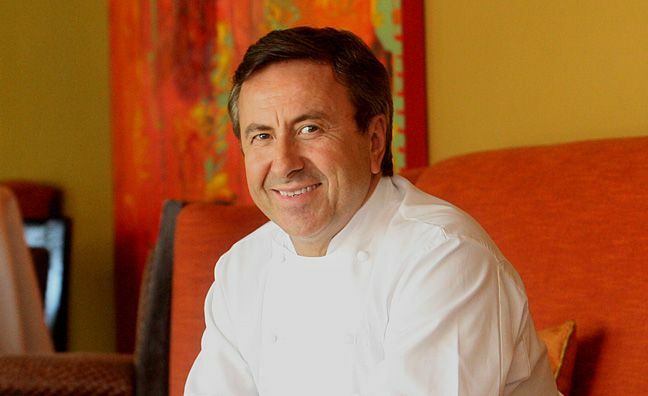 In 2001 Daniel Boulud introduced the thing for an unseemly 27 dollars, but that only made people want it more. Now the price has risen to $32, roughly twice what we pay for dinner at our favorite ramen joint. What the hey, it was faux Valentine’s Day. We arrived, we settled in among the blonde New York princesses with gaudy Chanel necklaces and thousand-dollar leather jackets, we ordered a non-alcoholic beer. The bread, studded with olives, went down fine. An arugula and frisee salad with a lemony dressing and lots of almonds tasted better than it sounded. But what about the burger? How would that be? This burger, you see, is no ordinary burger, but a giant softball of ground sirloin embedded with strips of brisket, a chunk of foie gras and a soupcon of black truffle. 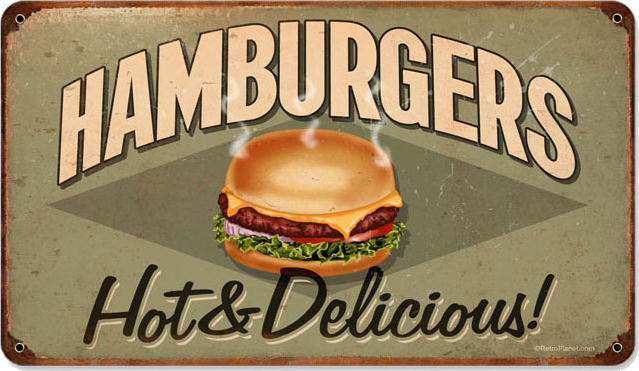 It’s a long way way from the simple but tasty culinary icon that Wimpy loved. 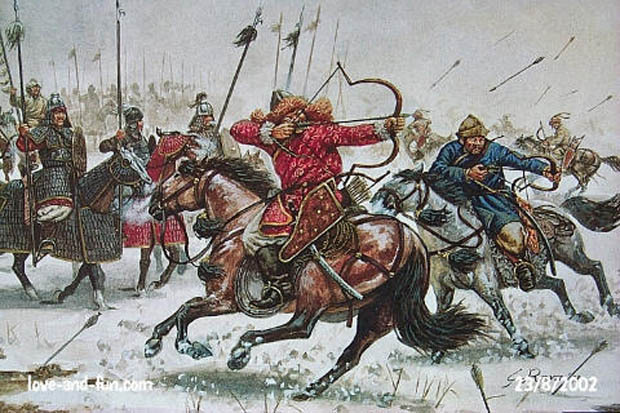 I have learned that the Mongol Army under Genghis Kahn would stuff filets of meat (sometimes beef, sometimes lamb) under their saddles as they rode so that it would crumble and cook in time for lunch. America’s own Hannah Glasse gave a recipe in her 1770 Art of Cookery that paired minced meat (cooked) and toast. 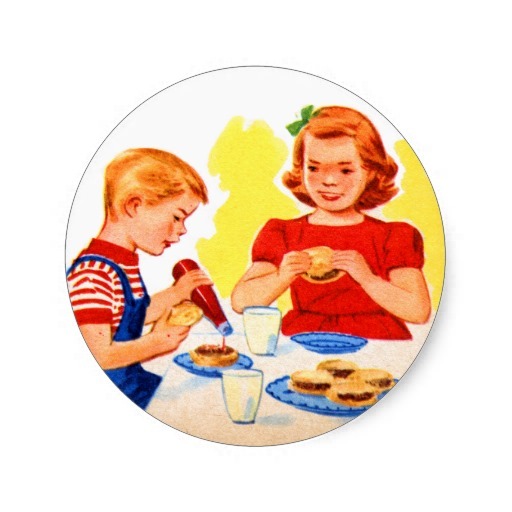 Other cultures have long dined on meatballs, kissing cousins in a smaller ball of beef. 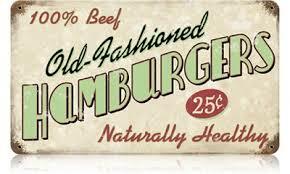 So the claim of the United States to inventing the burger has only a partial foundation in truth. 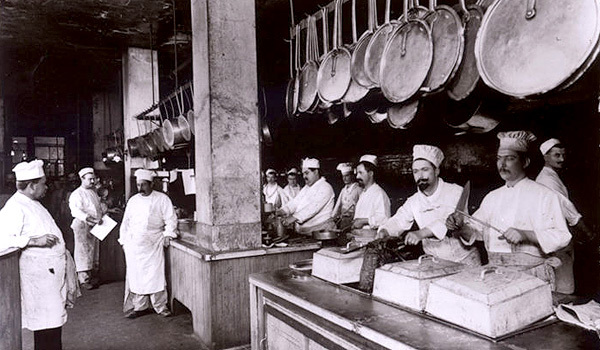 Emigrants from Hamburg brought versions of minced steak to New York in the late nineteenth century, where they were served raw or lightly cooked in exclusive restaurants such as Delmonico’s, sometimes accompanied by a raw egg, and sometimes for breakfast. The mechanical meat grinder, invented in the mid-1800s – mincing had earlier been done with a chisel – made mass production of ground beef possible. 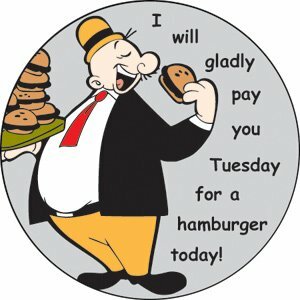 It’s thought that the hamburger in its present form originated as cheap eats at a county fair in Wisconsin, or Ohio – somewhere in the land where people needed sustenance to traverse the games, exhibits and rides. A slick of Heinz ketchup, patented in 1888, soon tagged along. On this night, our DB burgers landed in front of us with a thud, encased in a polished Parmesan bun, stuck through with wooden sticks and cut neatly in half. On full display were the slices of short rib and diseased goose liver, in lush cross section. 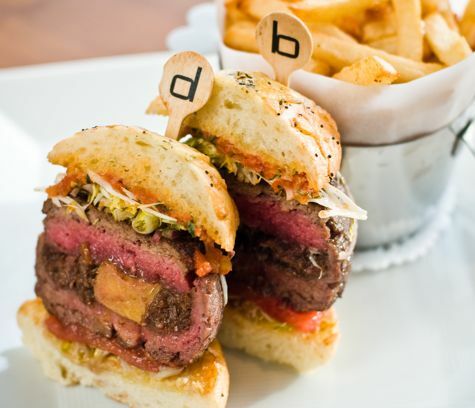 A bite through the red of the beef released the flavors of fresh red onion, tomato jam and mustard. No Heinz 44 for this baby. We could have eaten half but managed the whole. It was juicy, meaty, greasy, messy as a burger should be. But was it the best? Was it $32 worth of hamburger? When the bill arrived we told them that we’d gladly pay them Tuesday for a hamburger today. We have a place here northwest of Portland, Oregon, where you can order a burger. They serve locally grown beef on locally grown lettuce with locally grown wheat in the hand made bun, etc. etc, and everything is local. Dunno how it would hold up to yer fancy-fied burger there, and I’d like to try yours before I passed judgement. Nonetheless, that burger you describe has got to be the fanciest thing I have ever heard described as a burger. I wish there had been some spinach on the side. Good place too in White Plains where you order your beef by the ounce. Before jack left he said let’s go out for a really good hamburger—we went to Dobbs, another new place where there was an old place about a minute ago. The thing was huge but no surprise ingredients! Was there a guy at the next table with a baritone voice and huge fore arms who was smoking a pipe, wearing a sailor’s cap and talking to himself before he ordered spinach? Did he have a really skinny, tall girlfriend with black hair done up in a bun who’s voice grated on your nerves? Did you rub your tummy while waddling out the door? Was the cab driver a huge man with a scruffy black beard, squinty eyes, a captain’s cap and a deep voice?